blogsters guild: Die Laughing...They did! Calchas, the wisest soothsayer of Greece during the Trojan War, advised the construction of the notorious wooden horse. One day he was planting grapevines when a fellow soothsayer wandered by and foretold that Calchas would never drink the wine produced from the grapes. After the grapes ripened, wine was made from them, and Calchas invited the soothsayer to share it with him. As Calchas held a cup of the wine in his hand, the soothsayer repeated the prophecy. This incited such a fit of laughter in Calchas that he choked and died. Another version of Calchas' death states that he died of grief after losing a soothsaying match in which he failed to predict correctly the number of piglets that a pig was about to give birth to. It is said that Zeuxis was laughing at a painting of an old woman that he had just completed when his breathing failed and he choked to death. This writer of comedies became so engulfed in laughter over a jest he had made that he died laughing. Chrysippus is said to have died from a fit of laughter on seeing a donkey eat some figs. Aretino was laughing at a bawdy story being told to him by his sister when he fell backwards in his chair and died of apoplexy. 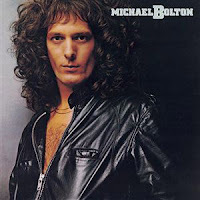 Note: Michael Bolton did not pass away due to laughter, but many have fallen due to this picture. R.I.P.